​Paris Saint-Germain midfielder Adrien Rabiot looks set to leave the French club at the end of the season after agreeing a move to Barcelona, according to a report. The 23-year-old is out of contract at the end of this season, with a host of clubs across Europe, including Liverpool and Manchester City, reportedly also vying for the midfielder's signature. According to ​Mundo Deportivo however, the Frenchman now appears to be set to sign for ​Barcelona, after 'saying yes' to a move to the Catalan club following a meeting with technical director Eric Abidal. 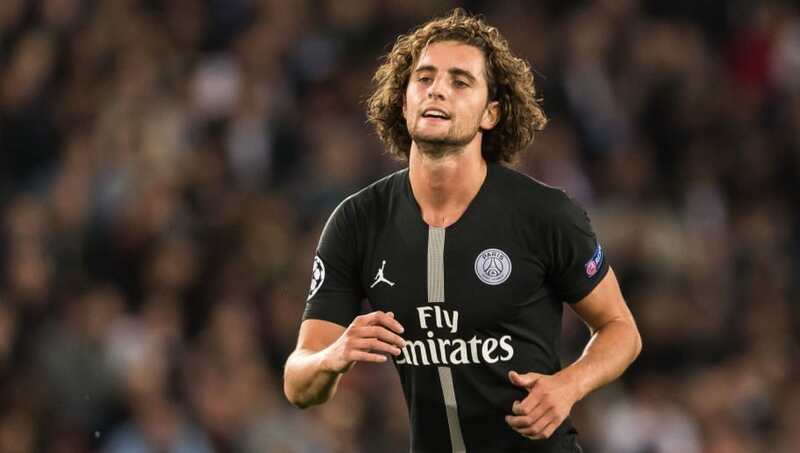 The report claims the former Barcelona defender travelled to the French capital to discuss a move with both the player and the club, with Rabiot stating his intentions to move to Barça, which could see him earn a significant sign-on bonus as a result. A deal between Rabiot and Barcelona however cannot be agreed until January 2019, when the midfielder is able to agree terms with clubs outside of France due to him being in the final six months of his contract. Rabiot has featured in 12 of PSG's 13 Ligue 1 games this season, scoring twice, as the Parisian club have made a perfect start to the domestic season, winning all their games, although they sit third in their Champions League group behind ​Napoli and ​Liverpool. Barring a brief six-month loan spell at Toulouse in 2013, Rabiot has spent his entire senior career at PSG, and has come through their youth system to go on and make over 200 appearances for the club in all competitions, although an exit from the Parc des Princes at the end of the season now looks likely.